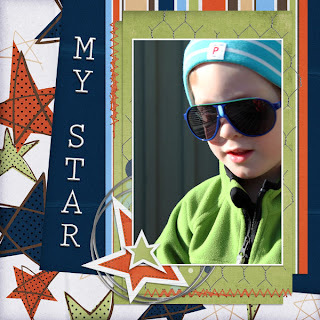 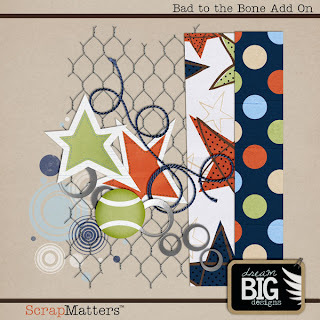 ... well that's the of a kit from Dream Big Design that I've used to make a page today. Max is wearing his new shades and he's enjoying the spring weather! 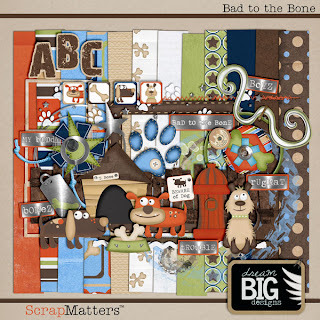 The kit looks like this and can be found at ScrapMatters. I've also used some stuff from this great add on, also found at Scrap Matters.